It has been an interesting journey doing the research on sea biscuits and I am sure there is more information I haven’t found doing a quick internet search. Sea biscuits are the Navy’s equivalent of hardtack, which is a relatively new comer as it was named by the 19th Century American army. Given the simple recipe (mix flour and salt with water to make a dough, roll out into patties, bake in a medium oven for 30 min at least twice) these biscuits were probably around in prehistoric times and still surviving in some hidden cave somewhere. 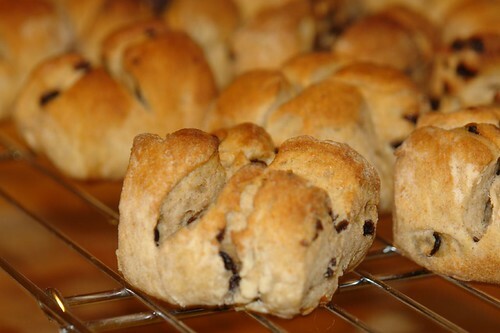 These biscuits last longer than flour as they have a lower moisture content and water activity. One disadvantage is that sea biscuits will absorb moisture if the humidity increases. This was a problem when Royal Navy ships first traveled in the tropics. When I travel, even on short journeys, I am in the habit of carrying some food and water with me. Travel delays on trains and planes have been part of my travel experience and I prefer to know I have food rather than hope I can buy something if necessary. Travelers need food that has a long shelf-life, is robust, safe to eat, and calorie/nutrient dense. Many travelers’ food is dried as removing the moisture extends the shelf life by essentially making the food inedible to bacteria. While removing water has the advantage of stopping bacterial growth, it doesn’t always give us a food that is robust and could stand up to the rigors of travel. There have been a number of times I have reached into my rucksack for a cookie/biscuit and found crumbs. Not the snack I was hoping for! The sea biscuit has more in common with Terry Pratchett’s Dwarf’s rock cakes than any modern cookie or cracker. So robust that, typically sea biscuits need to soaked overnight or smashed with a hammer or rock to able to eat it. Sea biscuits are the original cracker that was crumbled into New England chowder, probably because that was the only way the biscuits could be eaten. The British navy used to bake/dry their biscuits 4 times. So if you think biscotti are hard to eat without dunking, double the force needed to bite into a sea biscuit and book that trip to a dentist to replace your teeth. They were so hard that apparently an American civil war soldier wrote a letter on the side of a hardtack and mailed it with the address on the other side and it survived in the mail without any protection. No wonder British soldiers were envious of American food rations in World War 2. If you want to make your own sea biscuits there are lots of recipes online due to reenactors and survivalists wanting a food that is traditional and/or last a long time. They are also popular in Hawai’i and Alaska. Personally I would prefer water biscuits or Scottish oatcakes carefully wrapped than a food that is hard to eat. Trail mix would be more desirable still. However, if a zombie apocalypse is ever threatened, I know what I could bake to help my long term survival. One of the problems with science is how it is reported in magazines and newspapers. Also how it is reported on the web can be a problem. This problem came to light for me when I was reading the free magazine “Better Nutrition”. In the February issue there was a short article on “The best weight management diet” which talked about a New England Journal of Medicine article which showed that high protein-low glycemic index diets were better for maintaining weight loss. This sound realistic and was confirmed by reading the article, but what peeked my interest was the table of glycemic index values in the Better Nutrition article because apparently sourdough bread has a lower GI (54) than white bread (100). This did not seem possible as sourdough bread is essentially made from the same ingredients as white bread with a different starter is added instead of yeast for proofing. There is nothing in the process of making sourdough bread that should change the carbohydrates, which are from wheat flour. So I looked up how glycemic index was measured. What I found was that glycemic index (GI) ranks foods by how quickly they increase blood sugar (glucose) levels. Foods that increase blood sugar rapidly after being consumed have a high GI. 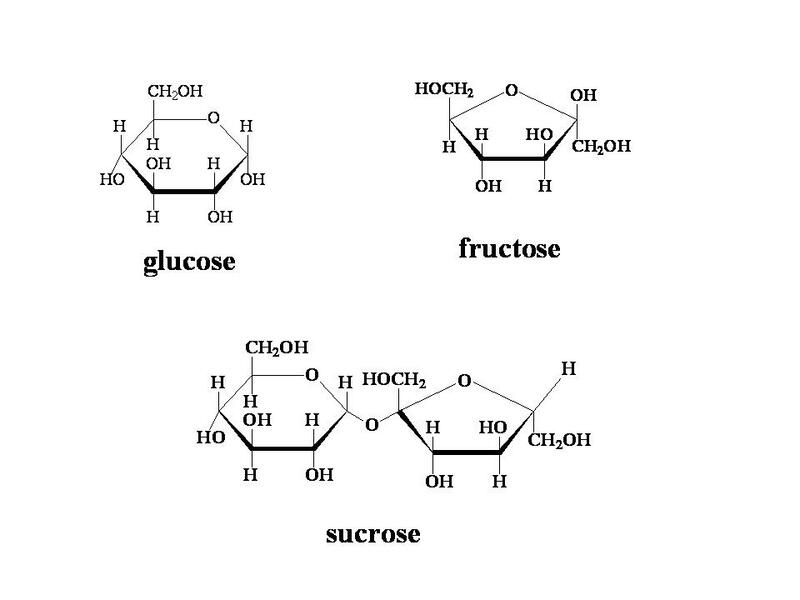 For example, honey has a GI of 85 and sucrose, table sugar, has a GI of 70. Conversely foods which are slowly digested and absorbed have a low GI. Examples of these foods are green vegetables (GI = 15) and dark chocolate with greater than 70 % cocoa solids (GI = 22). GI is measured by feeding measured portions of the test food containing 10 – 50 grams of carbohydrate to 10 healthy people after an overnight fast. Blood samples are taken at 15-30 minute intervals over the next two hours and used to construct a blood sugar response curve. The area under the curve (AUC) is calculated to reflect the total rise in blood glucose levels after eating the test food. The results for a test food is divided by the results of the standard containing the same amount of carbohydrate, either glucose or white bread are used as standards, and multiplied by 100. The result gives a relative ranking for each tested food. There is some concern, firstly that the standards used are different and secondly two hours after a meal is too short. Food is known to stay in the stomach for over 4 hours, so longer term blood glucose monitoring might be better. The glycemic index was developed at the University of Sydney (Australia) originally to aid people with diabetes control their blood sugar levels. Low GI diets are useful for people with diabetes as it allows them to regulate their blood sugar levels and this in turn helps with insulin levels and may reduce insulin resistance for people with Type II diabetes. So the more I read, the less likely it seemed that sourdough bread could have a lower glycemic index than white bread, which by the way, in some measurements of GI is set as the reference with a GI of 100 and in others, where glucose is the reference, white bread has a GI of 70. Yes, not even the measurements of GI are standardized. Interestingly it seems that the reason the high protein/low glycemic index diets work is that protein fills you up and after eating a meal that is high in protein you are more satisfied. Apparently physical therapists and doctors have noticed that old ladies (and perhaps men – not mentioned) who are in pain and depressed, improved a lot when they took up knitting. They used less medication, were more cheerful and their memories improved. Doctors think it may be the movements in knitting that help to calm patients. They also suggest that knitting groups overcome feelings of isolation and making nice things makes the ladies feel less useless. They are starting a proper research programme in Bath to sort out the different factors. Those who had during middle age been busy reading, playing games or engaging in craft hobbies like patchworking or knitting were found to have a 40% reduced risk of memory impairment. So pick up those needles and stop your mind from deteriorating. Conveniently the topic for the next Scientiae Carnival, Role Models of Women Making History, dovetailed nicely with the next exercise for the Total Leadership process. I found the examples in the book about Total Leadership hard to follow on from as they were both about family members that had overcome adversity and personal challenges. These stories are very interesting, but while I admire my family greatly and I know they have undertaken personal challenges, to me a hero is someone who has done something beyond every day living. So I chose Marie Curie. Teaching chemistry to freshmen undergraduates makes me realize how white male dominated it was especially at the beginning of the twentieth century. A few women stand out in my mind as having been successes despite the system – Dorothy Hodgkin and Rosalind Franklin are two from the mid to late twentieth century that come to mind. Marie Curie (1867 – 1934) succeeded as a chemist and physicist at an earlier time than these two and from within the system. I admire her because she dedicated her life to science to such an extent that she left her home country, Poland, to do research at a better institution in Paris. This was definitely unusual for women at that time. When she found her scientific niche, she carried out her research at the highest level winning two Nobel prizes. Every scientist dreams of winning one, but two is outstanding. In addition to being a brilliant hardworking scientist she was also a wife and a mother. Imagine Marie Curie, who discovered radiation, worrying about Pierre having holes in is socks or Irene getting enough fruit to eat*. I connect to Marie Curie and see her as a role model because she gave her all to science despite the conventions and expectations of women at her time. *I am sure she had governesses and housekeepers and was probably quite bourgeois, but still she did it. She could have just stayed at home and done what every other middle class woman of the late nineteenth and early twentieth centuries was doing.